Help us with school supplies? It’s school supply time for Lola Children’s Home. For the past few years EOR has committed to purchasing school supplies for the kids. We have many easy ways to give. Do you give your children’s teacher a gift on the first day of school or during the holiday season? A gift of books would make a perfect gift. How about a friend who has everything? We can personalize a card in their honor for you. To help us reach our goal and donate towards this project please visit us here. Thanks for all you do for the children in Ethiopia. It’s been exciting to see 13 new friends join our EOR race team last week. It’s going to be a great event! Would you like to join the EOR team in Portland on October 2nd? A local group called Cause + Event hosts a race each year and they generously give $15 (that’s half) of each entrance fee to the charity of your choice. Don’t live near Portland, no worries you can still sign up and participate in their virtual race and support the work that EOR is doing in Ethiopia. Each year the Cause + Event Race sells out and their registration cap has already reached half the participants. I know it’s a ways off but sign up soon to secure your spot. You can participant in a kids run, 5K walk/run or 10K run. Just click here to join the EOR team. 100% of the proceeds EOR receives from the race will go toward our Lola Children’s Home expansion. Last November we had a ground breaking ceremony on a beautiful piece of land in Mekelle, Ethiopia. The first home for the Lola children is presently being built. It’s been exciting to see the updates on the progression of leveling the land out, digging the trenches, testing the soil content and so much more. We’ve talked about it in the past, but it’s worth mentioning again that IGive and Amazon Smile are terrific ways to help EOR without spending your own money. With IGive it’s free, fast and simple. Shop at over 1700+ stores and they will give a percentage of what you spend to your favorite cause (on average 3%). To sign up for Igive visit here. Who doesn’t love Amazon. It’s crazy to me that I can order something and have it the next day or two and pay no shipping. Got to love that.With Amazon Smile You shop and Amazon gives. Amazon donates 0.5% of the price of your eligible Amazon Smile purchases to the charitable organization of your choice. To have EOR be your charity of choice visit here and type in Ethiopian Orphan Relief as your charity choice. It’s school supply time for Lola Children’s Home. Would you like to help with this mini project? Your gift of $25 will provide a child with the needed school supplies, uniform along with a new set of clothes for sports. Our amazing guests at Lights of Hope auction kicked off this project and were getting close to our goal. Please visit here to make a gift of $25 or more to complete this project. Our goal is to complete this project by August 10th just in time before they start school. Thanks for all you do for the kids at Lola Children’s Home in Mekelle, Ethiopia. 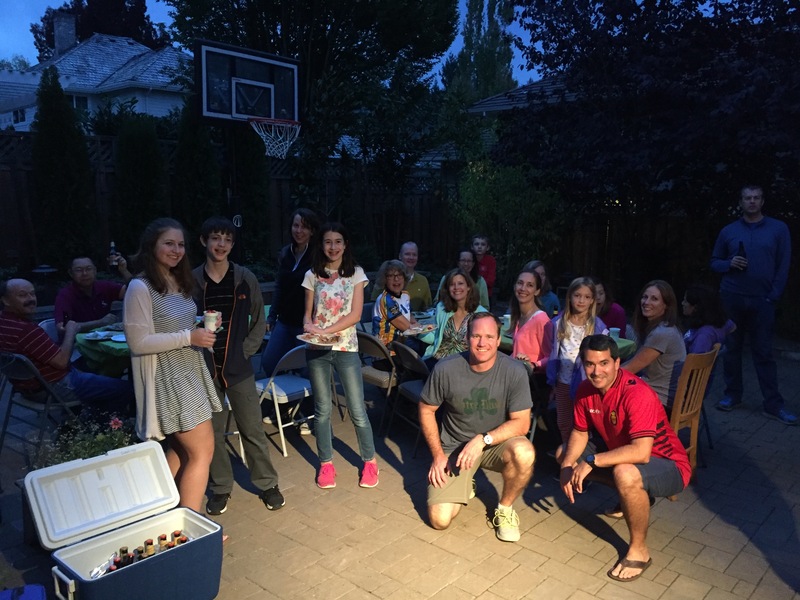 Come Join the EOR team on October 2, 2016 for the 5th annual Cause + Event Foundation race located in Bethany Village, a suburb of Portland Oregon. EOR will be represented as one of the over 200 worldwide causes and as a race participant YOU will be raising money for EOR. In the past the Cause + Event group gives back to your selected non profit a portion of your race entrance fee. Last year they gifted half of each entrance fee to the non profit of your choice. This October we are hoping to have the largest EOR team to date, so grab your friends and family and commit to health, well being, and continued support of EOR. Races offered will be a 5K walk and 5K and 10K run. There will be great music, food, and vendors to enjoy after as well. It’s always a fun morning event for our EOR and Lights of Hope family. Race registration is filling up fast. To join our team visit here. Registration fee is $35 and includes Tee-shirt, finisher’s medal, race bib, a minimum $15 to EOR and an amazing after-party with great food and beverages, and a ban. To learn more about Cause + Event race visit here. Happy Saturday! Hope your summer is off to a great start. I woke up this morning to this wonderful email from Abebe who is the Founder and Director at Lola Children’s Home in Mekelle, Ethiopia. YOU all are making a difference in these children’s lives. From buying chickens, plumpy nut, to your financial gifts, each and everyone is making a difference. 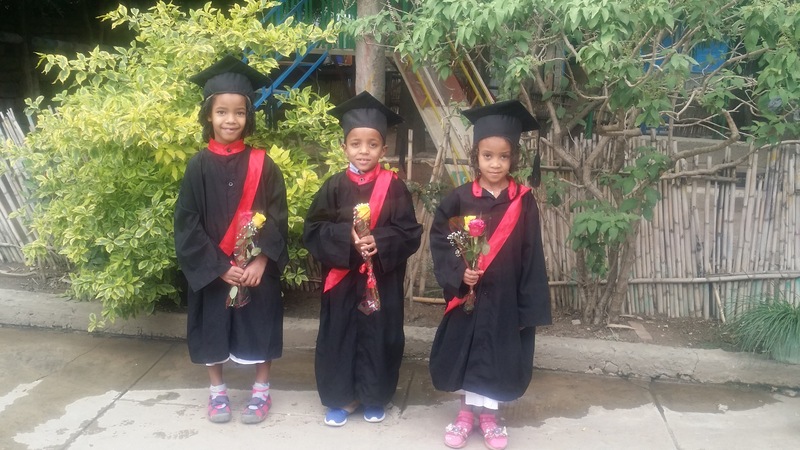 I don’t know about you but I think these graduates are adorable and they have a much brighter future because of YOU and the support you give. This year at Lights of Hope we will present our sixth annual “Lights of Hope Ambassador” award. EOR has long recognized the importance of the commitment our donors make to the orphaned and vulnerable children in Ethiopia. The Lights of Hope Ambassador Award recognizes a donor or donors for their extraordinary commitment to EOR and the work done in Ethiopia. Join us May 21 in Portland Oregon where we will announce the 2016 Ambassador. This year EOR has decided to grant all proceeds of this race to the Childrens Heaven Feeding Program which provides up to 6 nutritious meals per week to each girl in the program. Race registration fills up fast and is OPEN as of MARCH 2. Be sure to find Ethiopian Orphan Relief on the list of non-profits when registering! My connection to Ethiopia is personal and one that I carry close to my heart. I am a part of the first generation of my family to be born and raised in the United States yet despite the geographic distance to my ancestral homeland, my family instilled in me the significance and value of my cultural heritage. Cradling this dual identity comes with its challenges–it definitely has not been easy–but one way I manage to do so is by supporting causes and organizations making an impact in Ethiopia. Ethiopian Orphan Relief is one of the first, if not the first, organization I connected with that works directly with individuals back home. And while the circumstances bringing about the establishment of EOR may not be pleasing, this issue (how to better the lives of the orphaned population) is one that cannot be ignored; rightly so, EOR has taken on that challenge. What I appreciate about Ethiopian Orphan Relief is the manner in which they go about making an impact: by working directly with communities and various groups in order to fulfill their needs. 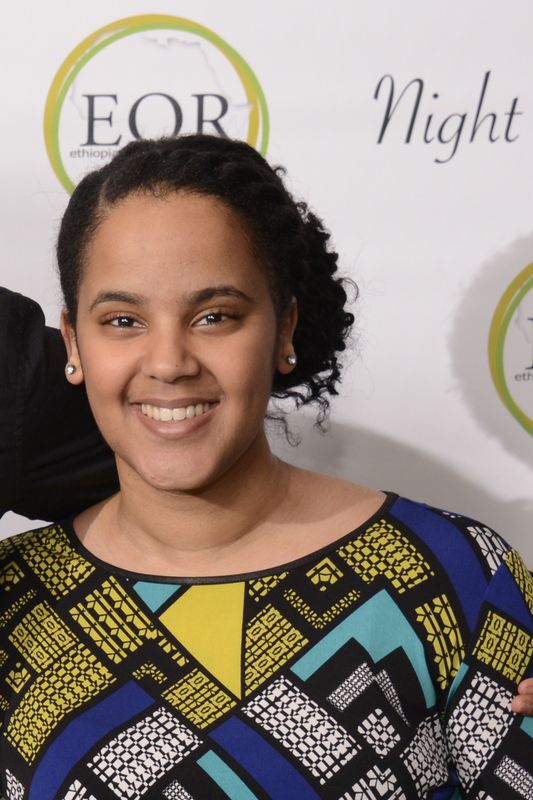 I have been connected with Ethiopian Orphan Relief for more than three years now and have supported the organization primarily through donating, hosting a fundraising event (via the Ethiopian and Eritrean Student Organization at The Ohio State University), and volunteering at annual events. Since then, I’ve been able to meet some of EOR’s members who are simply incredible and as a result, I have been exposed to a community here in Ohio I never knew existed. The future is bright for Ethiopian Orphan Relief. This has already been seen through the expansion and scope of their projects to causes not necessarily directed to the orphaned population but also to the wider realms of education, nutrition, access to clean water, and the like. Only time will tell where Ethiopian Orphan Relief will go next but I’m assured it will be nothing short of amazing. This past spring at Lights of Hope we tried something new. Guests had the opportunity to buy a “Golden Ticket” for $100. 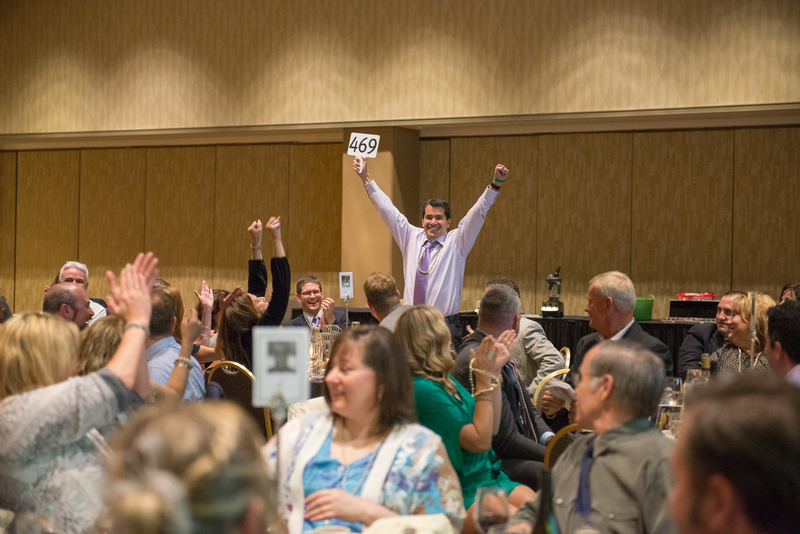 If they were the lucky winner they could pick any item out of our live auction line up. Anything… and we had some pretty sweet things like a trip to Italy, poker party, trip to Thailand, just to name a few. 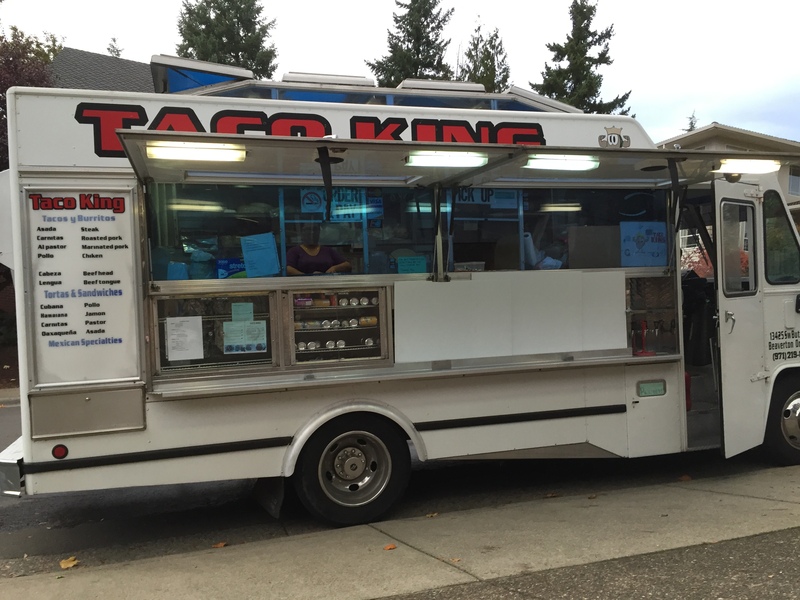 This weekend here in Portland, Paul and Stacey celebrated their Golden Ticket win with 50 friends as they dined on Taco’s from the Taco King’s food truck. This new golden ticket idea for EOR was a huge success. We were able to sell 99 tickets and that $9,900 is providing nutritional meals for the girls at Children’s Heaven, medicine for children at Lola, building supplies for land at Lola and so much more. Thanks to everyone who purchased a ticket, to the Massari family for underwriting the Taco Truck and to Paul and Stacey for supporting EOR. 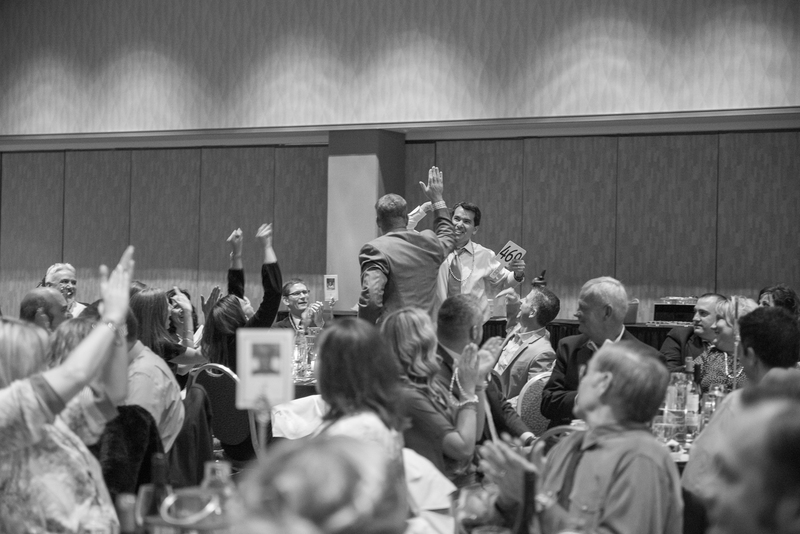 Join us May 21, 2016 in Portland, Oregon for the 8th annual Lights of Hope Auction. You just might win yourself a golden ticket!